Indeed, the online reviews of the store are all positive and range from “Great company with an amazing selection of products to choose from,” to “Pricing is great, and customer service was outstanding,” to “This is the go-to place for cool outdoorsy styles.” Marlowe likes to say that the store focuses on Southern Hospitality. “We’re friendly,” he says. As a buyer, Marlowe chooses to focus on items that give back “somehow or some way.” This includes the Parks Project and tentree clothing lines. For each Parks Project item purchased, a percentage of proceeds from the sale goes to one of over 30 different conservancies across the United States to provide funding for National Parks. For every item purchased at tentree, ten trees are planted. This is the sort of thing that excites Brenna Marlowe: “Not only are you buying something; you’re buying some thing,” he says. More mainstream products include Patagonia, Hard Tail, Royal Robbins, and a line of sunglasses to die for: Maui Jim, Olukai, Ray Ban, and Shwood. Marlowe graduated from Ole Miss with a degree in exercise and physiology with an emphasis on pre-medical studies, but he had this idea for the store, and he just wanted to try it. “A lot of people have ideas,” Marlowe explains, “and I thought to myself, well, why not just do it? If it fails tomorrow, I will still be young enough to try something else.” Admirable courage. 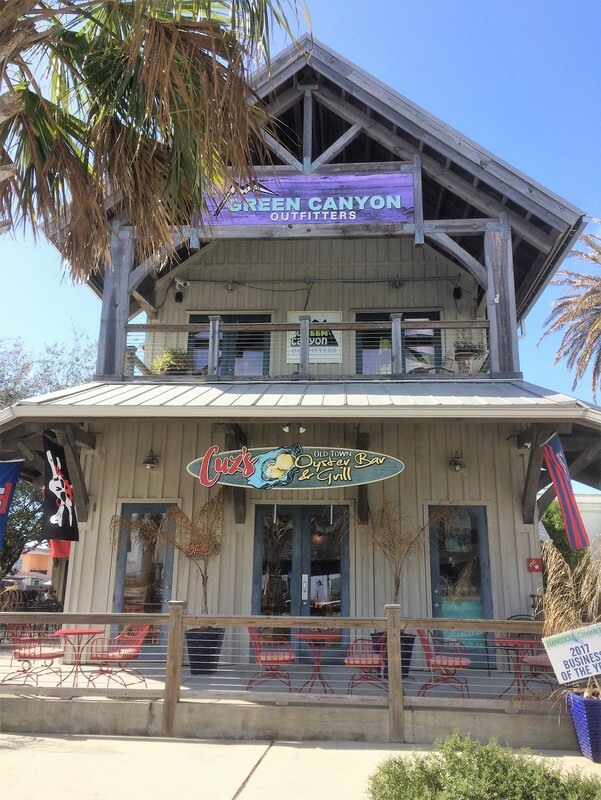 Stop by the Green Canyon Outfitters on Second Saturday, March 10, between 4:00 p.m. and 8:00 p.m. for special Hot Spot sale items. Stock up on your favorites. Feel good about yourself in the process. 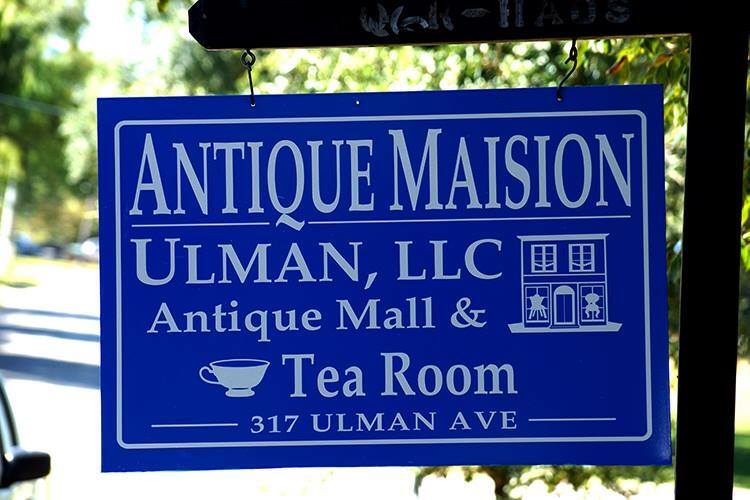 In July 2014, Sylvia and Ed Young opened the Antique Maison Ulman and Tea Room, managed by Missy Geisel. 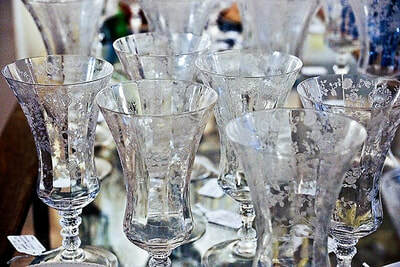 The Ulman location, a branch of Antique Maison on Second Street, is an ideal place for private events like showers, graduation parties, and wedding receptions. 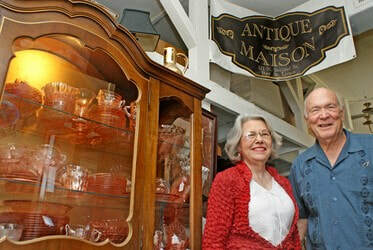 Once owners of a business on the 2000 block of Magazine Street, the couple relocated to Bay St. Louis in 1990. A year later, they opened a tuxedo, bridal, and costume shop on Second Street. 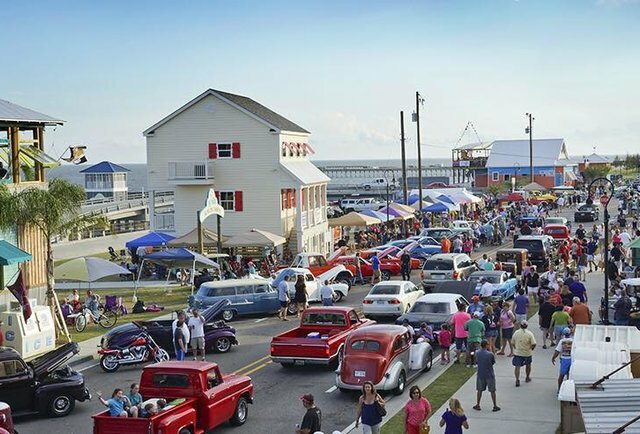 However, like many Bay St. Louis merchants, Hurricane Katrina played a role in the lives of Sylvia and Ed Young. After Katrina wrecked its havoc on the Second Street building, Sylvia and Ed renovated and reopened it as an antique store—Antique Maison. The Antique Maison Ulman and Tea Room came later as did Sylvia’s latest vision—an outdoor garden. 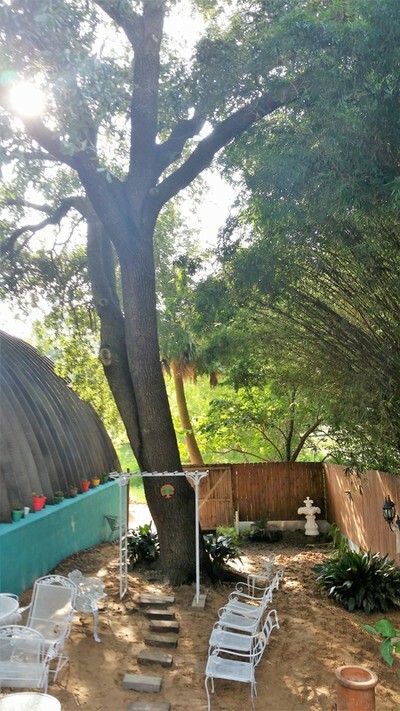 In the center of the garden stands the Heavenly Tea Garden Tree, an historical tree dedicated by Father Jim of St. Augustine Seminary. 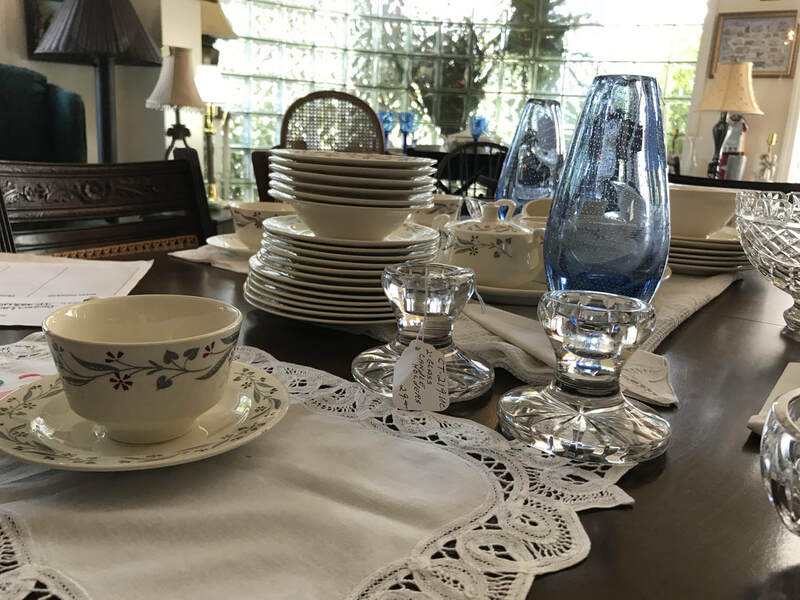 In addition to two tea rooms, one private with seating up to twenty, the expansive main dining room, which holds thirty-five, and the garden and deck area, which adds additional seating for thirty-five, is the store itself. 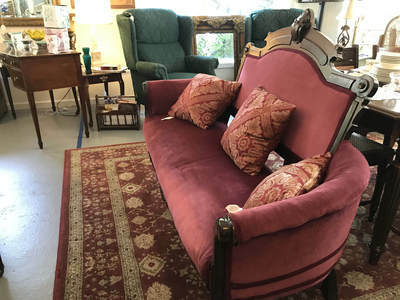 The Ulman branch of Antique Maison features three large display rooms housing antiques, nostalgia, and vintage in quality furniture, home décor, art, collectables, jewelry, china, and crystal. If guests do not find what they are looking for, Sylvia will happily walk them into the Quonset hut dedicated to special sale items and overflow. Treasures abound! Sylvia delights in operating the Ulman site. She explains that many of her customers are just passing through. Some are visiting. Some are lost. Some just got off the highway and found themselves at the store. “I always play tour guide,” she says. 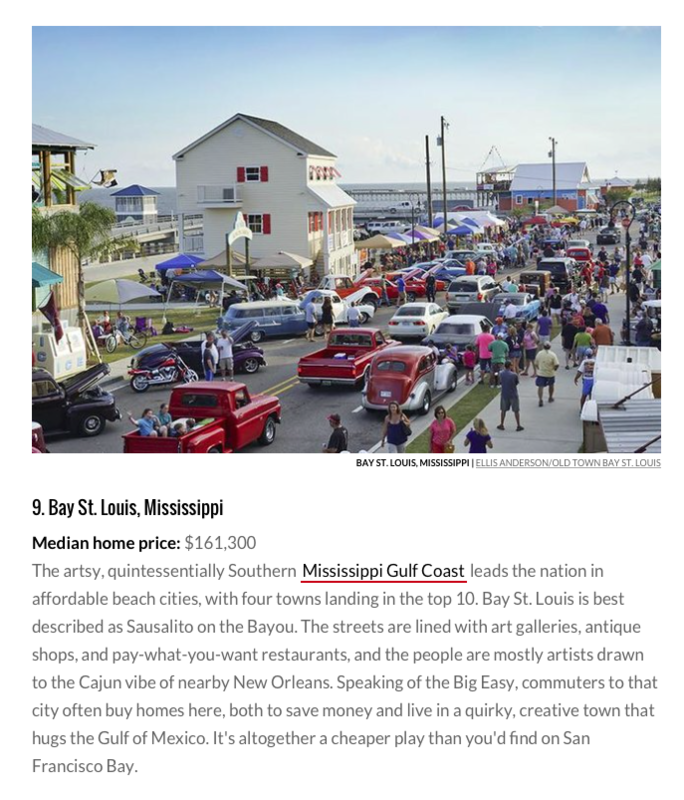 “I take out the map and tell folks where things are, where to eat, and so forth.” Sylvia notes that her first-time customers often fall in love with Bay St Louis. Sometimes they mention buying a house, and she calls upon her 35 years in real estate to give them information. 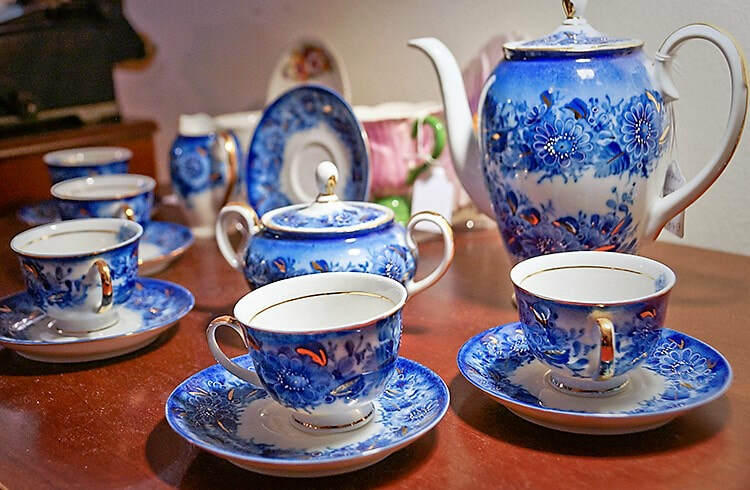 The Antique Maison Ulman and Tea Room, Garden is open Monday through Saturday from 10:00 a.m. to 5:00 p.m. The Tearoom offers a wide assortment of hot and cold teas, iced and hot coffees, soft drinks, and desserts. High Tea Windsor is offered, as well, albeit by reservation only. Reservations are requested 48 hours in advance. Whether you are a frequent visitor, a newbie, or have lived here all your life, do stop by on Second Saturday, March 10, between 4:00 p.m. and 8:00 p.m. Sylvia and Missy will be serving soups from the High Tea menu to those with proof of Mudfest purchase along with samples from the High Tea menu. ADDITION: LIVE MUSIC WILL BE PROVIDED!